Twice in one week that Obama made our enemy stronger. First, he rejected the Keystone XL pipeline, the American people should be outraged at this lunacy. Here we have a friendly and good neighbor (Canada) that has our best interest, yet Obama turns his back on them to appease his lunatics base the environmentalist. At the same time, Canada is not going to wait on this president to make up his mind. He has delayed this process for three years while China has been waiting for Obama’s incompetency. Well it has paid off for China’s patience. The environmentalist and the media are so un-American and nuts, they think by lobbying against the pipeline would save America environmentally? Do they think this is the first pipeline America trying to have to move any kind of liquid? Well, they should think about all of the water, sewer, gas, oil, and gasoline pipelines that are in existence throughout America? Some above ground and some are under. The crazy think about these environmentalist, they think that by restricting America from exploring the nation’s oil resources or importing oil from Canada would save the planet. How about the environmental policies of China, India, Russia, and the rest of the third world. They don’t give 2 cents about the environment. Also, they forgot to think about that for every dollar America spend on oil imported from Canada, they send America 90 cents. How crazy is that? The second evidence of Obama’s incompetency is when Brazil stiffs Obama and signs an oil deal with China. This is after Obama’s visit to Brazil offering them loans and help in developing their offshore oil wells. Now, common sense and the patriotism should tell you that if you are in charge of a very wealthy country such as America with natural resources, you would obviously explore your own resources so you would not depend on other countries nor open yourself to blackmail. NO, not with Obama. He really love America by locking up the doors to expolring the countries natural resources, depending on forgien oil from countries who hate America, and risk its national security by empowering communist China. What a leader? The liberals and the elite must be celebrating for having an incompetant American president doing their bedding by distroying America. Under Obama and democratic leadership, central and south America is returning to socialistic/communistic control. The Brazilian president is no different. Ms Rousseff, a former Marxist rebel who was imprisoned for three years in the early 1970s for resisting military rule, has promised to protect freedom of expression and worship, and to honour the constitution. 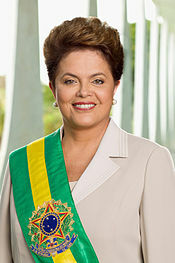 People with common sense cannot help but wonder if there is a special relationship between Ms. Rousseff and the Chinese. There are a lot of commonality between Obama and Rousseff. Both share a socialistic and Marxist ideologies. Both are an an awe of China and its new rise on the world stage. And both of them are doing everything they can to allow China have a greater influence in the western hemisphere. It is very clear, that the domocrats, liberals, the elites, and an incompetent president are a National Security risk. America is not in their hearts best interest. America WAKE UP. 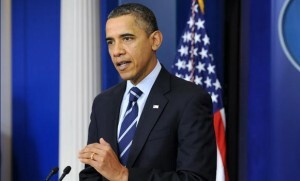 You MUST vote this incompetent president out of office in November 2012.